May Mobility, an Ann Arbor start-up, supplied the driverless shuttles to Columbus. They did a similar experiment in Detroit. It’s a balmy 27 degrees when I wander down to the Scioto River to hop into one of Ohio’s first self-driving shuttles. The green-and-white, six-person van stops at COSI, the National Veterans Memorial and Museum, Bicentennial Park and the Smart Columbus experience center – or at least, that’s the plan. It’s a bit of a stretch to call the shuttle “driverless”—today, John Hargrave is the “fleet attendant” of my autonomous vehicle, which is named Myla. “We’re only here because Myla, she’s still learning,” Hargrave says. Not to be confused with a driver, Hargrave helps Myla out when she is befuddled by rain, snow, or Ohio drivers. During our trip, Hargrave says he only switched Myla to manual mode 25 percent of the time. I’d say he may be giving Myla too much credit. The shuttle stopped at every stop sign, but had trouble deciding when to start again. It did read traffic lights with ease, and even pulled a U-turn like a seasoned professional. Columbus’ hope is that tourists and commuters might use the free shuttle, which launched to the public Monday, to get around. They run from 6 a.m. to 10 p.m. daily, and cost about $550,000 to roll out. That's just a fraction of the $40 million Columbus won from the Department of Transportation for its Smart City innovation project. Ironically, winter weather is actually perfect for getting the service going, according to Smart Columbus director Jordan Davis. “Really, this gives us a long run way to see how the vehicle performs in inclimate weather, but also in preparation for high season, which we anticipate being spring and summer,” Davis says. John Hargrave is the “fleet attendant” of Myla, one of the autonomous vehicles circling the Scioto Mile. Convincing people to trust the shuttles is another matter. I tried asking some of the people I met along the route if they’d ride in an autonomous vehicle. “No, because I trust humans more than computers,” one man told me. I asked her how she would feel knowing there’s an operator at the ready. There’s actually no steering wheel at all, I clarified. Driverless vehicles are coming to Columbus. The green and white self-driving shuttle unveiled by Smart Columbus on Wednesday morning looks something like a small, rectangular minivan. A lot of windows and the logos of partner organizations decorate its sides - Smart Columbus, DriveOhio, May Mobility. On the corner of Fifth and Main in downtown Marysville on Thursday, officials from Honda, government types and curious shop workers hoisted cell phones to see a new smart intersection project in action. Every few minutes, a Honda SUV heads toward the intersection and stops short—the driver warned of a pedestrian, emergency vehicle or red light runner. 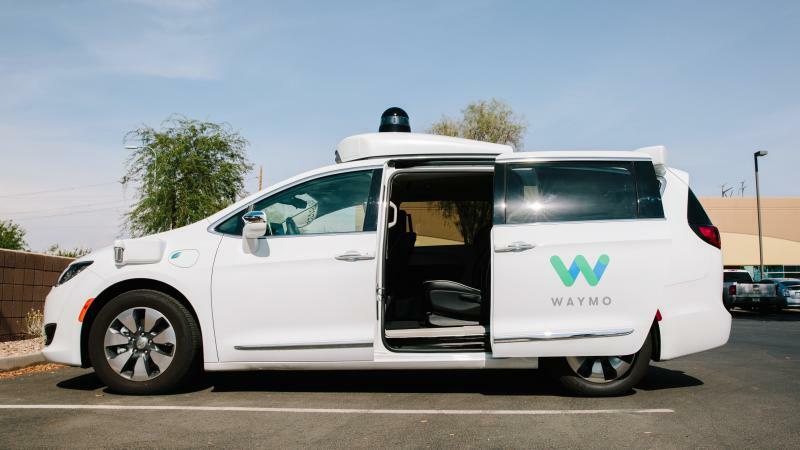 The Transport Workers Union of America has announced the formation of a statewide coalition to stop autonomous buses from hitting Ohio’s streets.